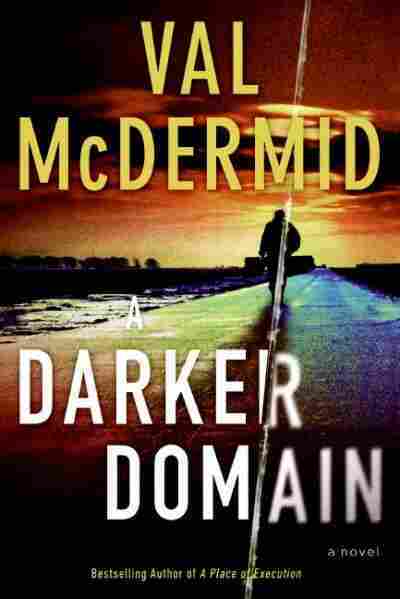 A Darker Domain NPR coverage of A Darker Domain by Val McDermid. News, author interviews, critics' picks and more. More than twenty years after the 1984 national miners' strike in Scotland, Cold Case Review Team Inspector Karen Pirie stumbles across new evidence that links the cases of a missing strikebreaker and a kidnapping gone wrong. The voice is soft, like the darkness that encloses them. "You've told her what to do?" Words tumbling now, tripping over each other, a single stumble of sounds. "Don't worry. She knows what's what. She's under no illusions about who's going to carry the can if this goes wrong." Sharp words, sharp tone. "She's not the one I'm worrying about." "Nothing. It means nothing, all right? We've no choices. Not here. Not now. We just do what has to be done." The words have the hollow ring of bravado. It's anybody's guess what they're hiding. "Come on, let's get it done with." The young woman strode across the foyer, low heels striking a rhythmic tattoo on vinyl flooring dulled by the passage of thousands of feet. She looked like someone on a mission, the civilian clerk thought as she approached his desk. But then, most of them did. The crime prevention and public information posters that lined the walls were invariably wasted on them as they approached, lost in the slipstream of their determination. She bore down on him, her mouth set in a firm line. Not bad looking, he thought. But like a lot of the women who showed up here, she wasn't exactly looking her best. She could have done with a bit more make-up, to make the most of those sparkly blue eyes. And something more flattering than jeans and a hoodie. Dave Cruickshank assumed his fixed professional smile. "How can I help you?" he said. The woman tilted her head back slightly, as if readying herself for defence. "I want to report a missing person." Dave tried not to show his weary irritation. If it wasn't neighbours from hell, it was so-called missing persons. This one was too calm for it to be a missing toddler, too young for it to be a runaway teenager. A row with the boyfriend, that's what it would be. Or a senile granddad on the lam. The usual bloody waste of time. He dragged a pad of forms across the counter, squaring it in front of him and reaching for a pen. He kept the cap on; there was one key question he needed answered before he'd be taking down any details. "And how long has this person been missing?" "Twenty-two and a half years. Since Friday the fourteenth of December 1984, to be precise." Her chin came down and truculence clouded her features. "Is that long enough for you to take it seriously?" Detective Sergeant Phil Parhatka watched the end of the video clip then closed the window. "I tell you," he said, "if ever there was a great time to be in cold cases, this is it." Detective Inspector Karen Pirie barely raised her eyes from the file she was updating. "How?" "Stands to reason. We're in the middle of the war on terror. And I've just watched my local MP taking possession of 10 Downing Street with his missus." He jumped up and crossed to the mini-fridge perched on top of a filing cabinet. "What would you rather be doing? Solving cold cases and getting good publicity for it, or trying to make sure the muzzers dinnae blow a hole in the middle of our patch?" "You think Gordon Brown becoming prime minister makes Fife a target?" Karen marked her place in the document with her index finger and gave Phil her full attention. It dawned on her that for too long she'd had her head too far in the past to weigh up present possibilities. "They never bothered with Tony Blair's constituency when he was in charge." "Very true." Phil peered into the fridge, deliberating between an Irn Bru and a Vimto. Thirty-four years old and still he couldn't wean himself off the soft drinks that had been treats in childhood. "But these guys call themselves Islamic jihadists and Gordon's a son of the manse. I wouldn't want to be in the chief constable's shoes if they decide to make a point by blowing up his dad's old kirk." He chose the Vimto. Karen shuddered. "I don't know how you can drink that stuff," she said. "Have you never noticed it's an anagram of vomit?" Phil took a long pull on his way back to his desk. "Puts hairs on your chest," he said. "Better make it two cans, then." There was an edge of envy in Karen's voice. Phil seemed to live on sugary drinks and saturated fats but he was still as compact and wiry as he'd been when they were rookies together. She just had to look at a fully leaded Coke to feel herself gaining inches. It definitely wasn't fair. Phil narrowed his dark eyes and curled his lip in a good-natured sneer. "Whatever. The silver lining is that maybe the boss can screw some more money out of the government if he can persuade them there's an increased threat." Karen shook her head, on solid ground now. "You think that famous moral compass would let Gordon steer his way towards anything that looked that self-serving?" As she spoke, she reached for the phone that had just begun to ring. There were other, more junior officers in the big squad room that housed the Cold Case Review Team, but promotion hadn't altered Karen's ways. She'd never got out of the habit of answering any phone that rang in her vicinity. "CCRT, DI Pirie speaking," she said absently, still turning over what Phil had said, wondering if, deep down, he had a hankering to be where the live action was. "Dave Cruickshank on the front counter, Inspector. I've got somebody here, I think she needs to talk to you." Cruickshank sounded unsure of himself. That was unusual enough to grab Karen's attention. "It's a missing person," he said. "Is it one of ours?"